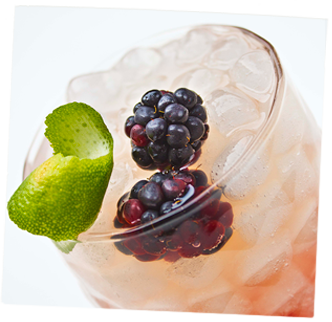 Place the first three ingredients in a lowball glass, add crushed ice and stir with a bar spoon. Add more crushed ice and the blackberry liqueur. 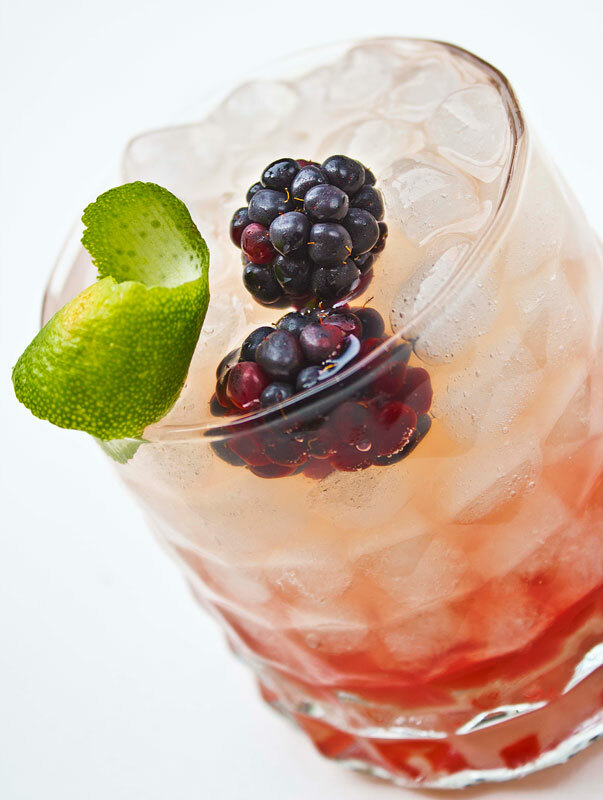 Garnish with blackberries and a twist of lime peel.